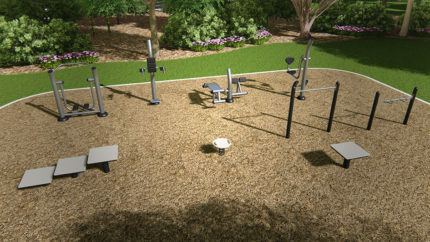 Save big with one of our expertly configured Outdoor Fitness Packages. We know that it can be a lot of work planning the ultimate outdoor fitness destination. Let us help you with that. 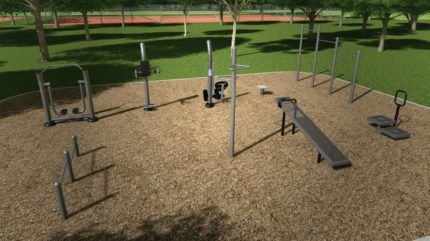 Members of your community can get a balanced workout in the fresh air and relaxing atmosphere of the outdoors, away from all the stuffy gyms. Designed to be inviting to novices and experts alike, Fitness Packages can accommodate multiple styles of workout that not only benefiting balance & flexibility, but also promote muscle development, and aerobic health. Users will appreciate the state-of-the art function of the magnetic resistance bearings in cycling equipment, which ensure smooth gliding pedal rotation and dynamic resistance that emulates the experience of riding a bicycle. Similarly, strength equipment features a rubber spring resistance which provides durable, long-wearing resistance for users of various skill levels. The Fit Tech packages offers instructional signage which includes step by step instructions, a muscle diagram indicating the muscles that are being worked, QR codes to access video tutorials and user safety information. This assures your guests safety and knowledge while they work towards a healthy lifestyle. 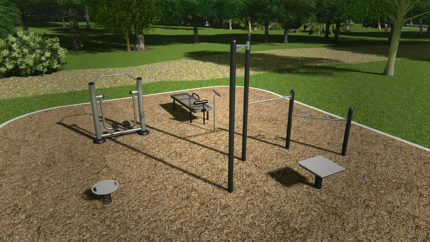 Build a complete fitness park with items in all workout types for a custom community space. If you’re not sure what types of outdoor fitness devices best fit your needs, choose from one of the pre-configured packages listed here, or call an Adventure Play Expert to design your own. 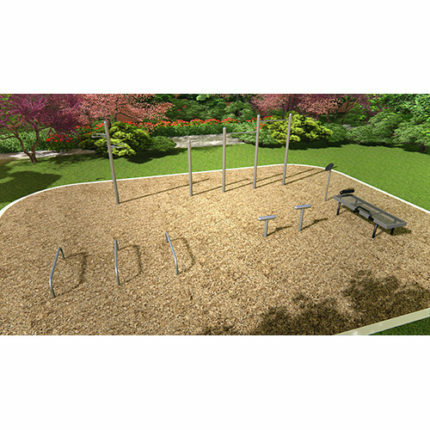 With more than 20 years of experience in the parks and recreation industry, we can help you customize a fitness area that suits the needs of your community. 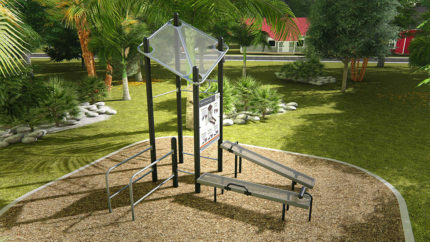 To learn more or start creating your ideal fitness space, contact one of our friendly Adventure Play Experts. 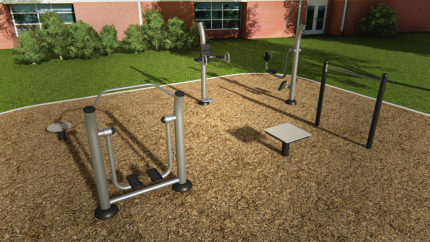 Start your outdoor fitness journey today by filling out a online contact form, or giving us a call at 1.888.935.2112.